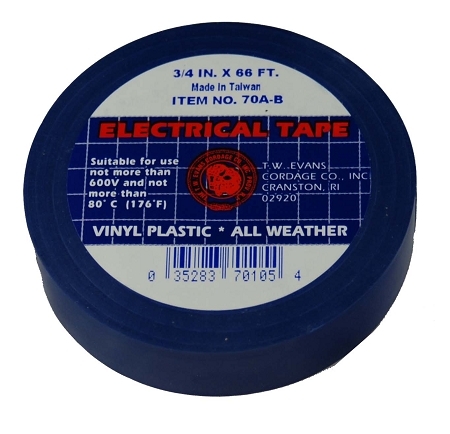 Vinyl plastic electrical tape. Flame retardant. All weather. Suitable for use not more that 600V and not more than 80 degrees C (176 degress F) each is 3/4" x 66'.